Henry Bird's 1.f4 has become the choice of many players who wish to avoid the voluminous theory surrounding 1.e4, 1.d4 and even 1.c4. If Black plays passively then he is likely to find himself in an inferior line, especially if he allows a reversed Dutch defense. But there is an exciting alternative to the main lines - the From Gambit! With l...e5 Black makes it clear that he is willing to fight. The lines which arise often involve forced piece sacrifices for both sides, and knowledge of the middlegame ideas is critical. In this monograph, Eric Schiller presents a state-of-the-art report an the opening together with explanation aimed at the average player. In addition, he provides many new ideas. Both ancient sources and the latest tournament and correspondence games have been examined, many from obscure sources which have not found their way into the body of published theory. Eric Schiller is a National Master and well-known opening theoretician. 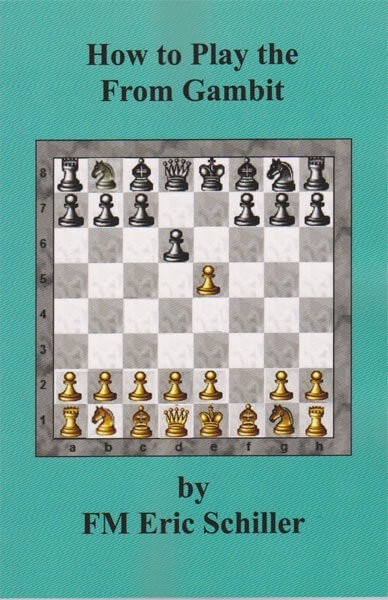 He has authored Bozens of monographs and is a Contributing Editor to Chess Life magazine. He holds a Ph. D. in Linguistics from the University of Chicago, and has translated Works by the present and former World Champions.